Aside from being aesthetically pleasing, asphalt shingles are durable and one of the lowest priced roofing materials out there. In fact, asphalt shingles are popular today, making up a whopping 80% in the residential roofing market. 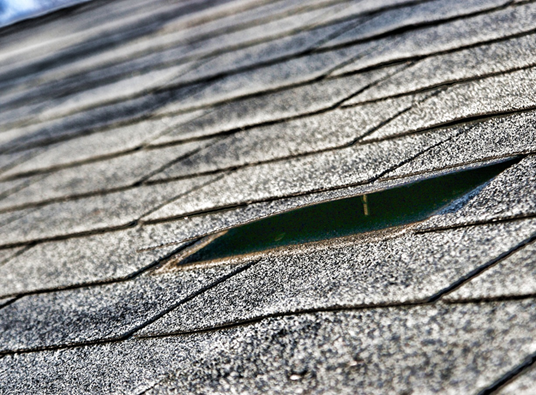 With so many asphalt shingles used every day all over the country, do you ever wonder where the shingles go once these are replaced? After asphalt shingles are removed, these often end up where all construction wastes go — to a landfill. Take note, however, that landfills are already full. 1. Recycling asphalt shingles saves valuable resources. Instead of filling up our landfills, the asphalt composition can be useful in building roads. Yes, the asphalt used in roofing and the hot mix asphalt used in building roads and pavements are the same. 2. Recycling asphalt shingles can bring about innovations. Experts are now thinking of other ways to make good use of old asphalt shingles. These can be for making another roofing product or road maintenance product. In the future, perhaps there will be a different way to produce energy using old asphalt shingles. 3. Recycling asphalt shingles allows homeowners to make positive environmental contributions. Just one phone call can be a huge help in reducing construction waste and saving the environment. By doing your part in this endeavor, you’re already making a significant contribution to saving the environment. 4. Recycling asphalt shingles can save money. Choosing to recycle your old roofing can actually help in saving taxpayers’ money. That’s because recycling old roofs reduces the amount of new oil the world needs and may reduce dependence on foreign oil. Apart from saving the environment, you will also help in boosting the country’s economy in your own way. If you want to know more about asphalt shingle recycling or if you’re interested in recycling your old roofing, you can contact Rogers Roofing and we’ll be glad to provide you with all the information you need. Aside from roofing, we also do gutters, siding, and windows in Hammond, IN, and the surrounding communities in the IN and IL area. Get your roofing done by an expert. Get in touch with Rogers Roofing and get a FREE quotation on your next roofing project today!